YUM! 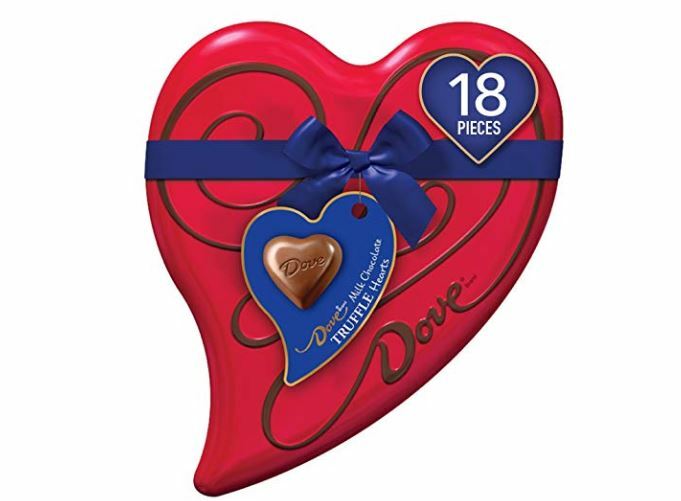 This DOVE Valentine's Milk Chocolate Truffle Candy Heart Gift Box 6.5-Ounce Tin, 18 Pieces is on sale for $10.08 when you clip the $15% off coupon. This is also available for the same price in Dark Chocolate. Check out more hot deals on Valentine's Day Chocolates HERE.